Arbroath Smokies originated in Auchmithie, a small fishing village a few miles north of Arbroath. Afficionados of smoked haddock rate the Arbroath Smokie as the best of its kind and this is due to the process used to produce the authentic taste. The salted and washed fish are tied by the tail in pairs and hung on sticks. 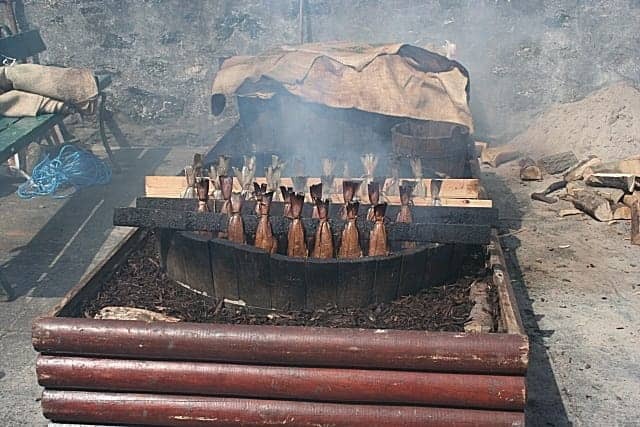 A hole is dug in the ground for the smokie pit and the fish is smoked in halved barrels with a hardwood fire, trapping the smoke under covers of hessian as the fishwives originally used to do. The golden brown fish, eaten straight from the barrel is an unmissable experience.